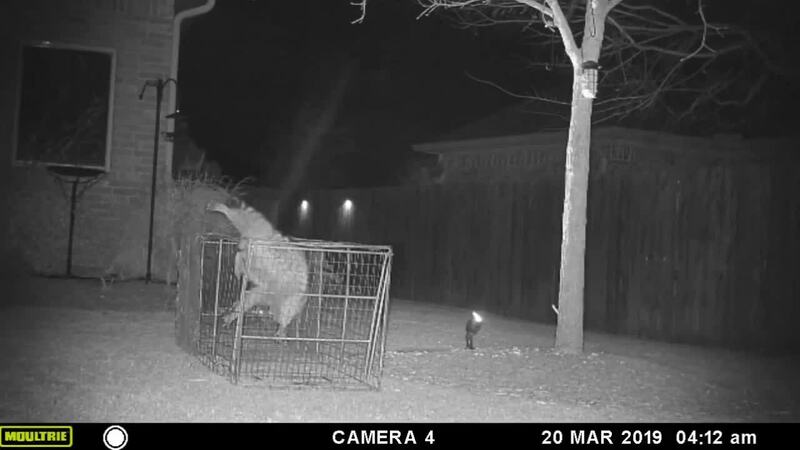 A woman in Waco, Texas is stumped by video footage of her backyard bandit. The video leaves you asking, is that a raccoon or Harry Houdini? Melanie Illich said that she has caught numerous little critters in her yard, but this one raccoon always escapes. In the video, she says she has been trying to catch the raccoon for three weeks, so she borrowed a trap with small wire squares. There is no way this raccoon can get of this trap... or so she thought. The raccoon is seen immediately planning his escape after he was caught. He first attempts to get out using a stick. This was unsuccessful. Then, he launches himself out of the top by contouring his body to fit through a tiny square. In the video, Illich said towards the end, she even starts cheering for the little guy. She said her home is in a new construction area, so having wildlife as neighbors is the norm.